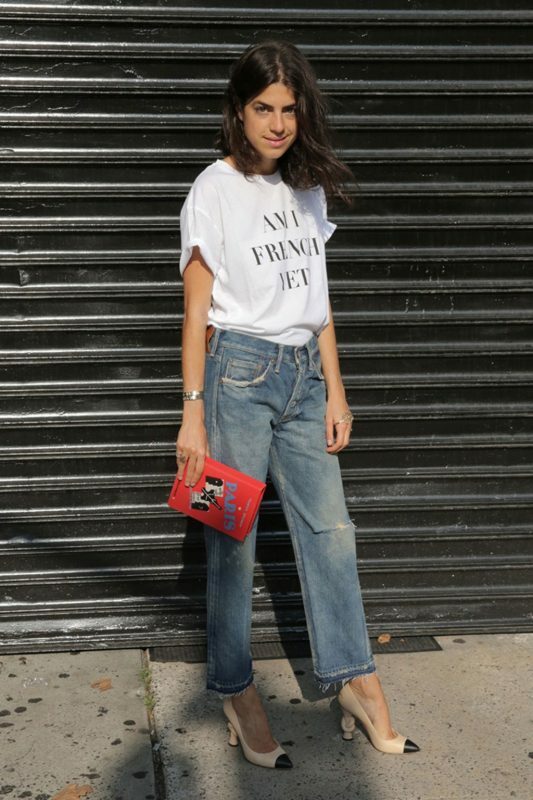 Style influencers have been pairing tees with quirky phrases, and perhaps a sassy French word or two, with pencil skirts, culottes, and even pantsuits for a high-low look that can go from the corporate catwalk to late-night cocktails. Throw her on with a whimsical statement skirt. Of course, denim is a classic pairing, but style yourself up a bit by tucking her in. 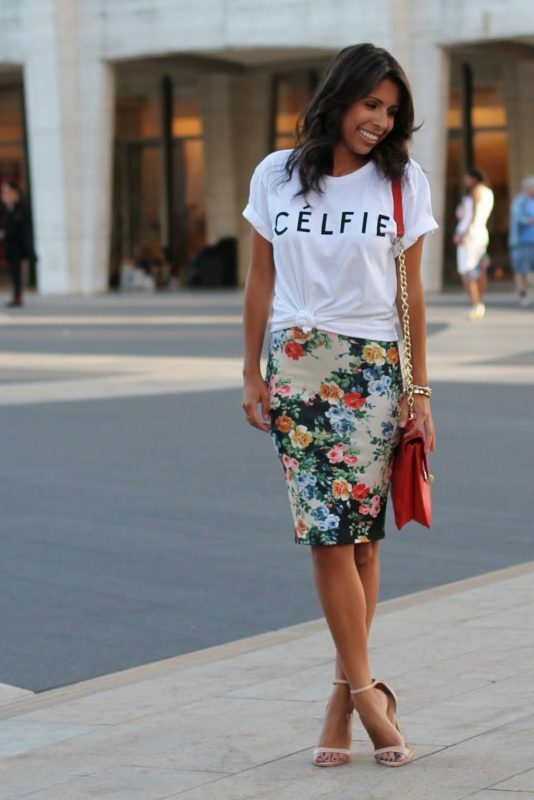 Keep a floral pencil skirt from looking too girly by throwing on a T. Knot the front or fashion a half-tuck to have fun with the easy style. For an after-hours look, grab a leather mini and edgy heels. For an outfit that you can wear straight into next season, pair a bold graphic tee with a pair of denim flares, or the addition of a luxe tuxedo blazer is one of my favs. 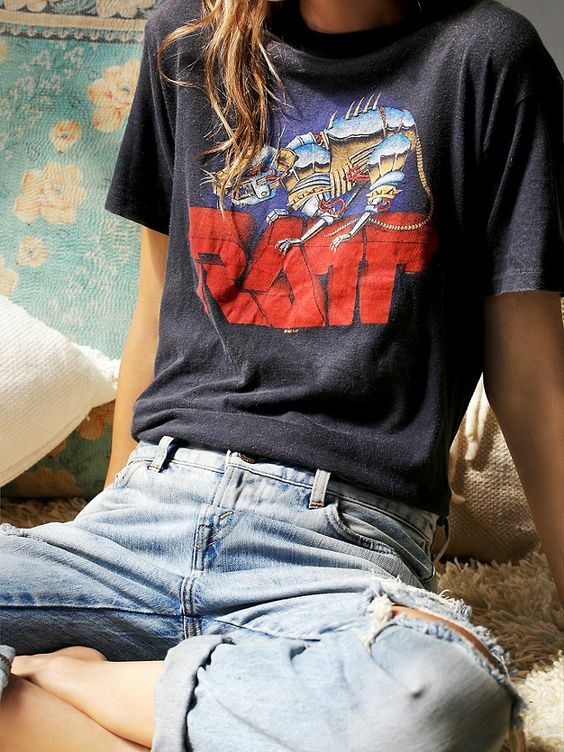 Graphic tees don’t have to be bold and (literally) statement-making. 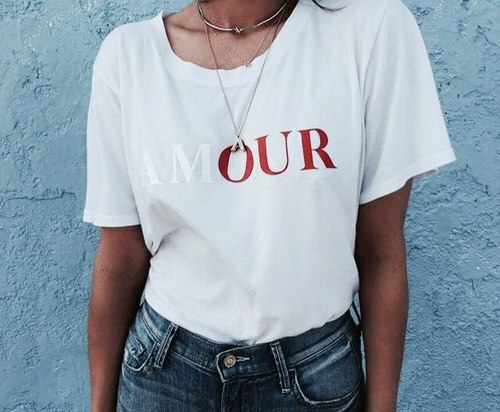 Shop vintage stores and steal from your BF’s closets to find the perfect worn-in options. This entry was posted in Style and tagged streetvibe, streetwear.